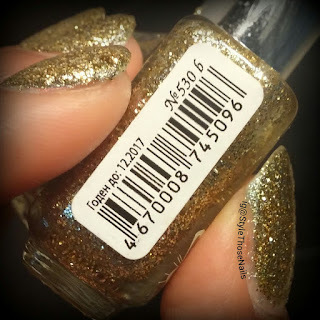 My thoughts on this polish. El Corazon No. 530 is a golden glitter polish which has great formula. 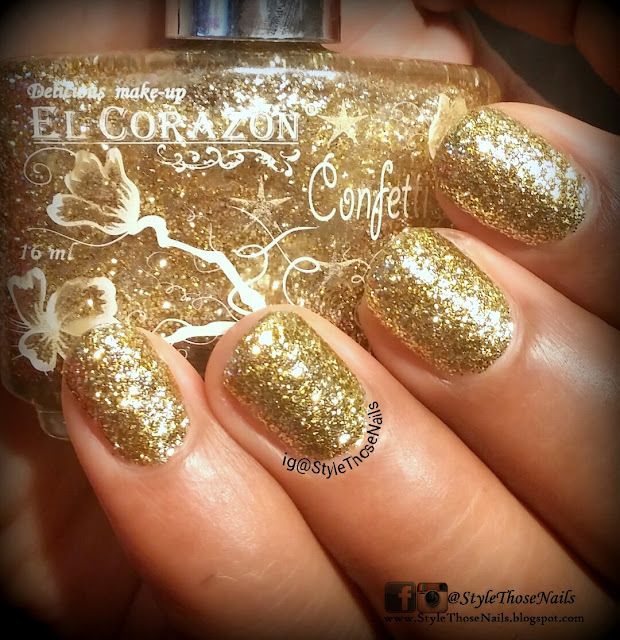 Being glitter polish it takes little time to dry if you are doing more that two coats but not too long. Application is smooth. 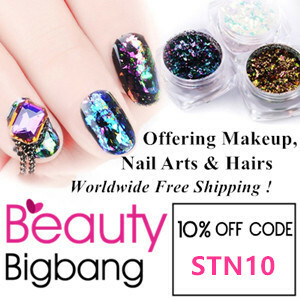 Glitters are not chunky so you don't get very rough finish though it looks textured. 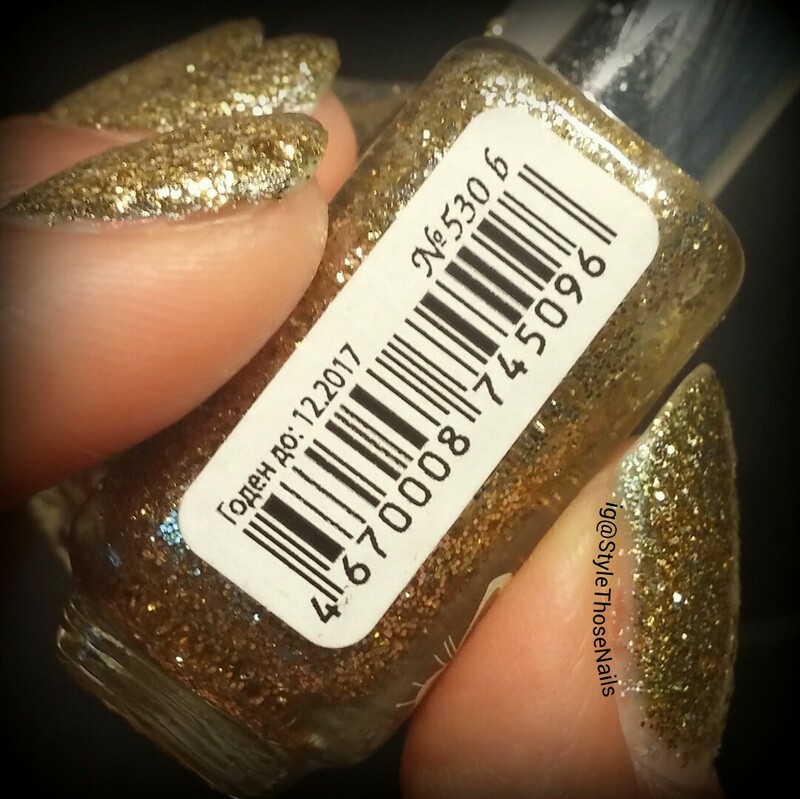 This polish is densely packed with golden glitters and gives you full coverage in two coats. Overall I liked this polish. Let me know your views. 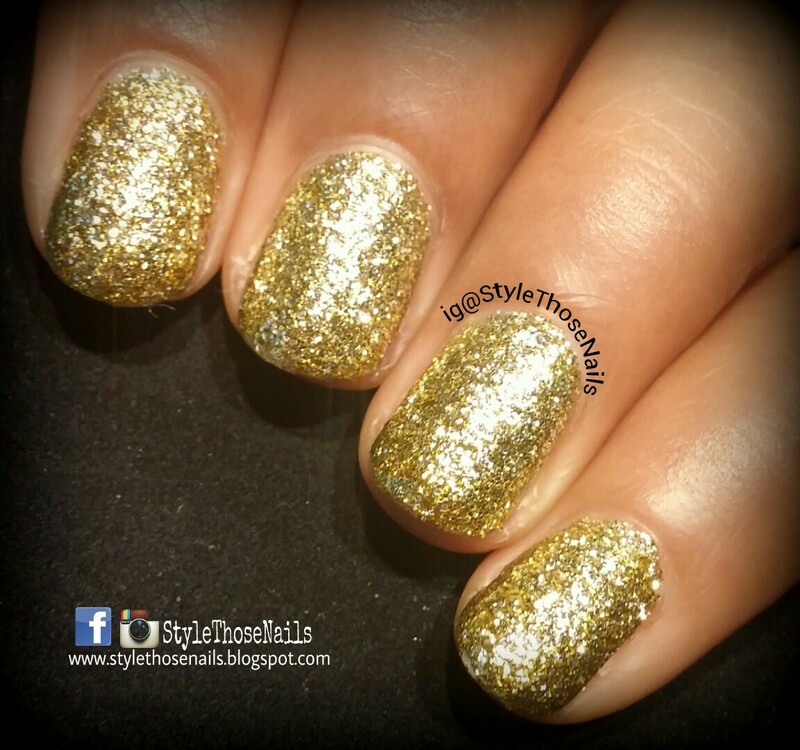 Are you a fan of gold glitters?